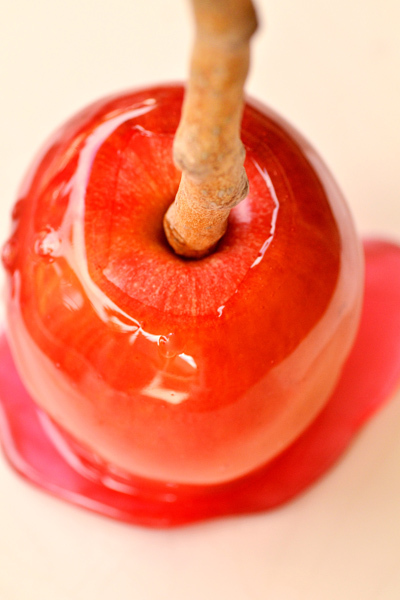 What comes to mind when you think of candy apples? 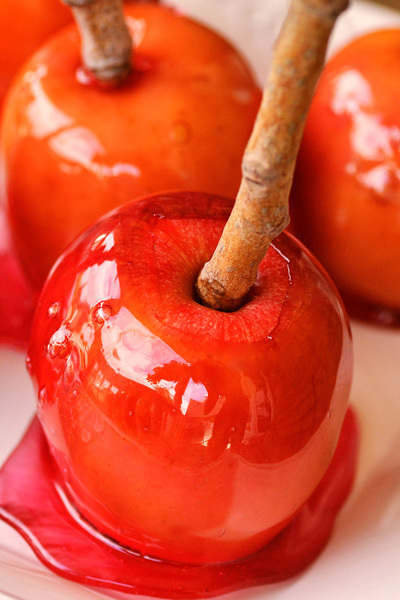 Are they a nostalgic part of your childhood – or were they a forbidden fruit? 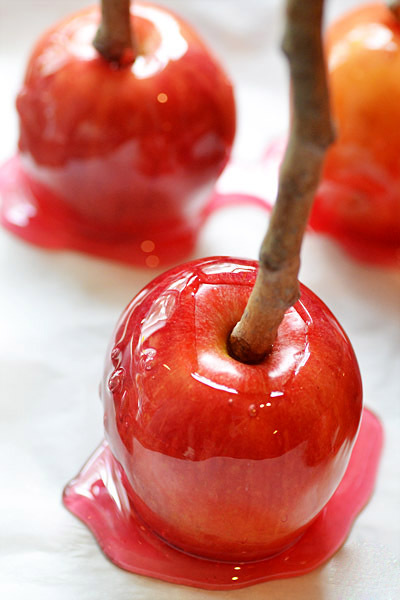 Even though I indulged only once or twice a year, candy apples stand out from my childhood as one of my favorite fall treats. 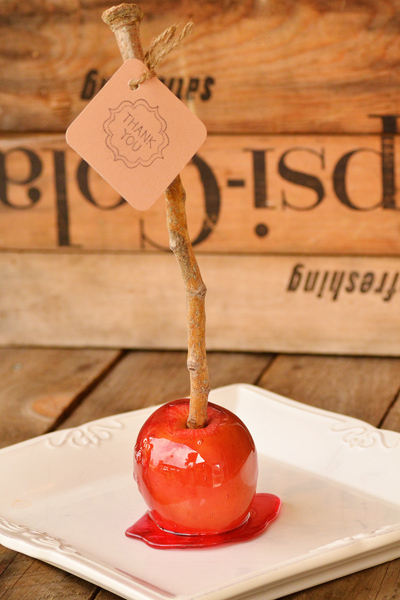 Candy apples are associated with Halloween, fairs and carnivals – but lately they’ve become a popular homemade treat at weddings. 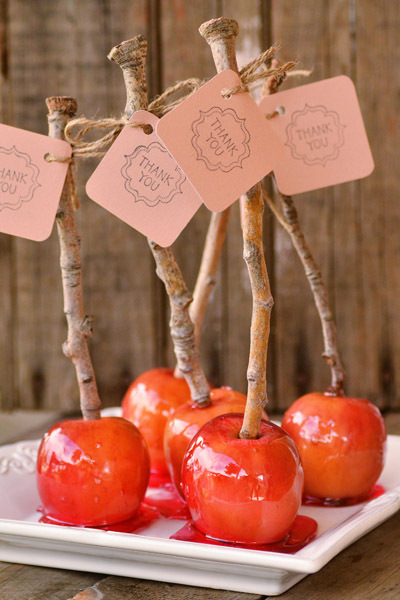 Personally, I think they’re perfect for the younger folks on your guest list; it’s not likely that grandma will be reaching for one, so if you are giving these as favors, offer an alternative for the older folks. 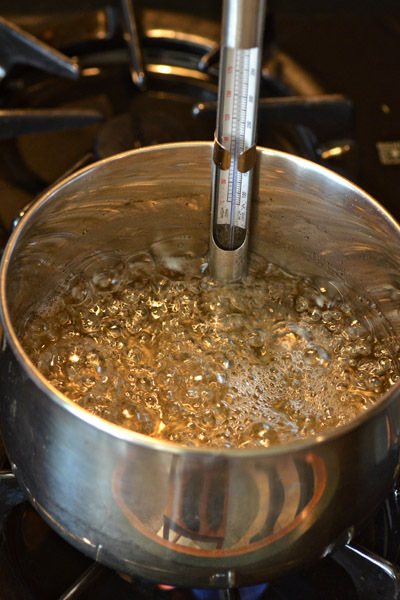 A candy thermometer is necessary for this recipe. 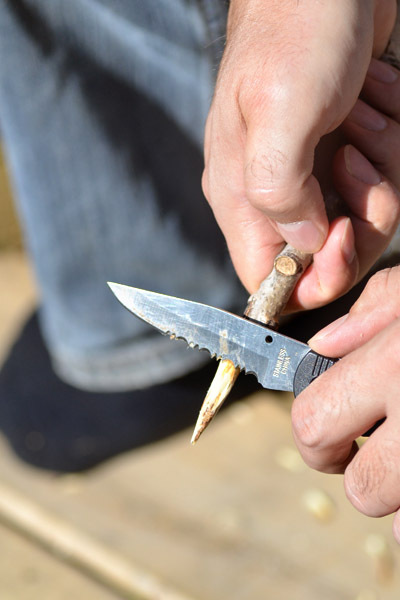 Cut your sticks to desired length and whittle one end of each stick into a point. This will make it easier to insert into the apple. Wash and dry apples. Remove stems. 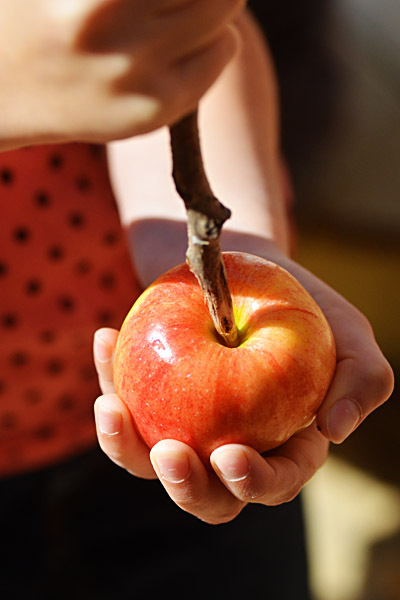 Insert stick approximately two inches into the core of each apple. Set aside. Line a baking sheet with parchment paper. Set aside. 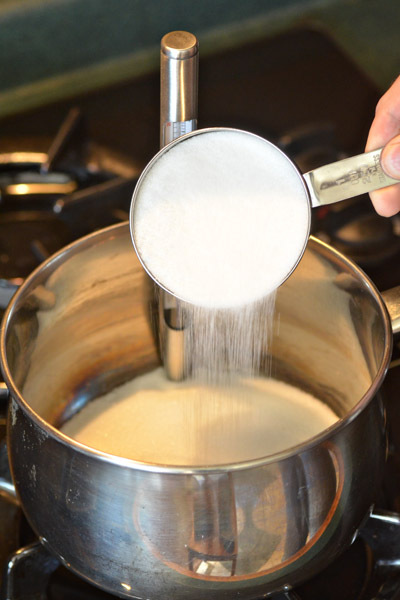 In a medium saucepan over medium-high heat, combine sugar, corn syrup and water. 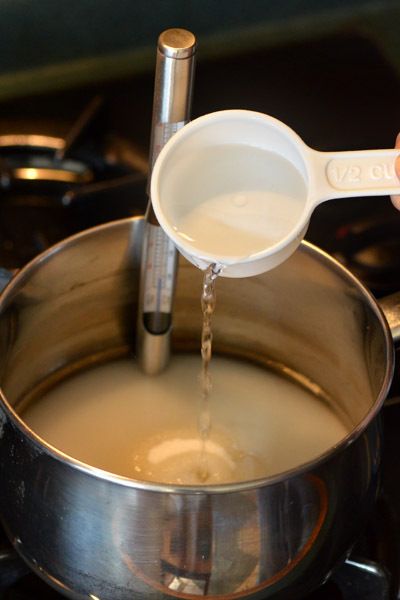 Heat to 300 to 310 degrees F (149 to 154 degrees C), or until a small amount of syrup dropped into cold water forms hard, brittle threads. This took about 30 minutes. 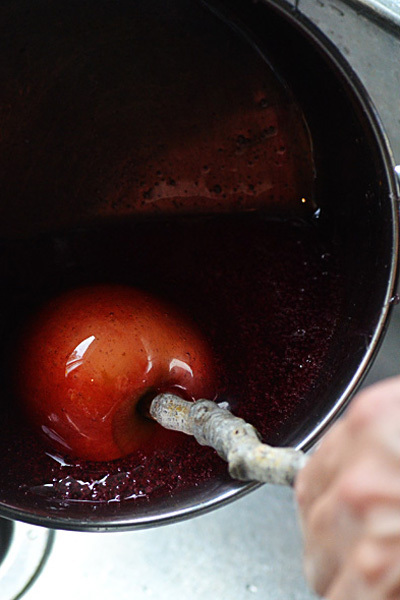 Remove from heat and stir in food coloring and flavor oil. 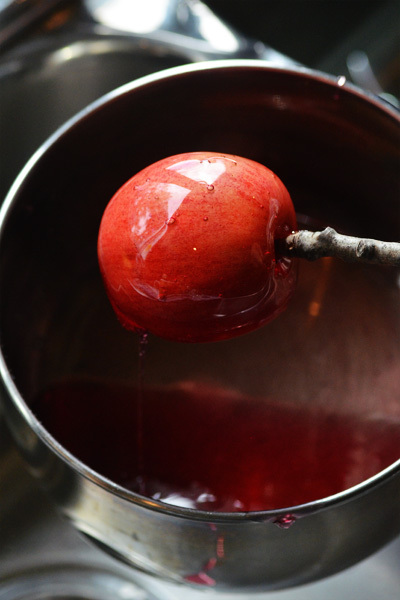 Holding apples by the stick, dip in syrup and swirl until evenly coated. 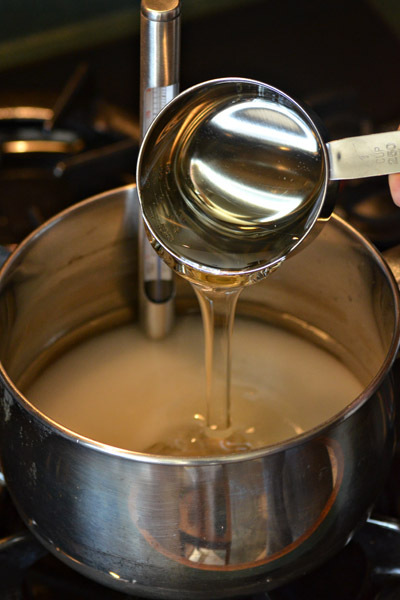 You have to work quickly; the syrup does not take long to seize. 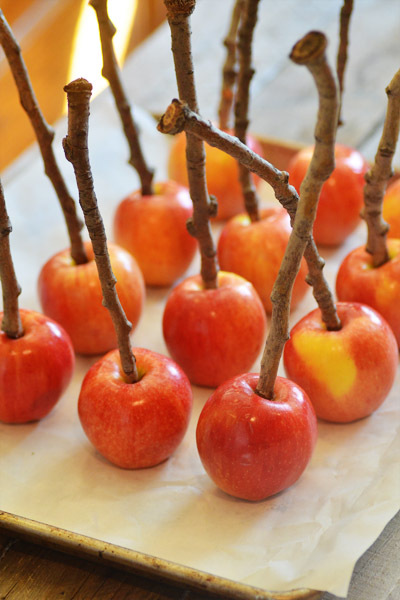 Place candy apples on parchment paper to harden. Add thank-you tag if giving as favors. Enjoy!